In the last few weeks I’ve been receiving an exceptional amount of books from publishers in regards to work events. But as they say, when someone gives you a book there’s an expectation, which also means homework. This is how a copy of The Inquisitor’s Diary came to my hands. It was left at the bookshop were I work and I almost fainted in terror when I saw it was a hardback. The good omens were with me as a) wasn’t too heavy and b) had the perfect handbag size. I started reading it on the bus on my way home and I was instantly hooked with the story written in the form of a 17-Century friar in Colonial Mexico and which had to do with a little known historical episode: that of the hunt of secret Jews or marranos. For those Spanish speakers, the word marrano is simply pig and it’s still widely used today. But back in the 16 and 17 century Spain, marrano was used to refer to converted Jews and their religious prohibition to eating pork. Jeffrey Lewis, author of the book was blown away with this story when he randomly bought a second hand copy of a book called A History of the Marranos by historian Cecil Roth. He then knew he had the perfect setting for a novel. In 1492, as many as 800,000 Jews were expelled from Spain under the Edict of Expulsion issued by Ferdinand and Isabel of Castile. During this period, up to 50,000 Jews converted (perhaps by force) to the Catholic faith, becoming known ‘marranos‘. Trying to escape the Spanish Inquisition, thousands of converted Jews arrived into the New World, especially into what is today Mexico and the South West of the United States, looking for a new life. Our main character, Fray Alonso, has been sent by the Inquisition to the northern territories of New Spain in search of those marranos. which as we’ll see where nowhere to be found. This is 1649 and the journey is as tough as it could possibly: harsh conditions, lack of water, heat, a kind of black plague and even an Apache attack is suffered. Desperate not to go back to Mexico City empty handed, Fray Alonso turns to the cook of the group, a mute man that he’ll call the Dumb One and who he will accuse of heresy. His marrano has been found. But is it really? 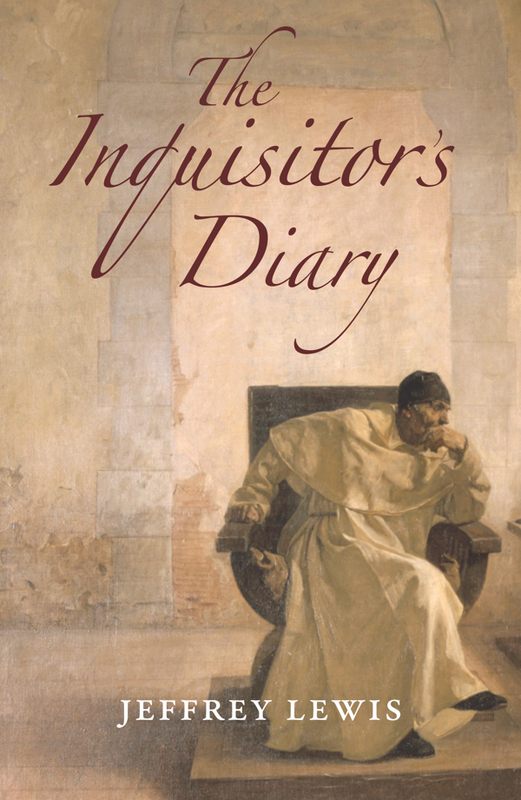 In The Inquisitor’s Diary Fray Alonso also takes a journey into himself, questioning his faith, morality and even his own sanity. In conversation with the author at Belgravia Books, Jeffrey said that this story is also about the very thin line that exists in proving someone’s believes and the power of the freedom of consciousness. The author turned to Saint Augustine’s Confessions as well as The Imitation of Christ by Thomas à Kempis to build up the voice of this fascinating character that we hate and feel pity at the same time.